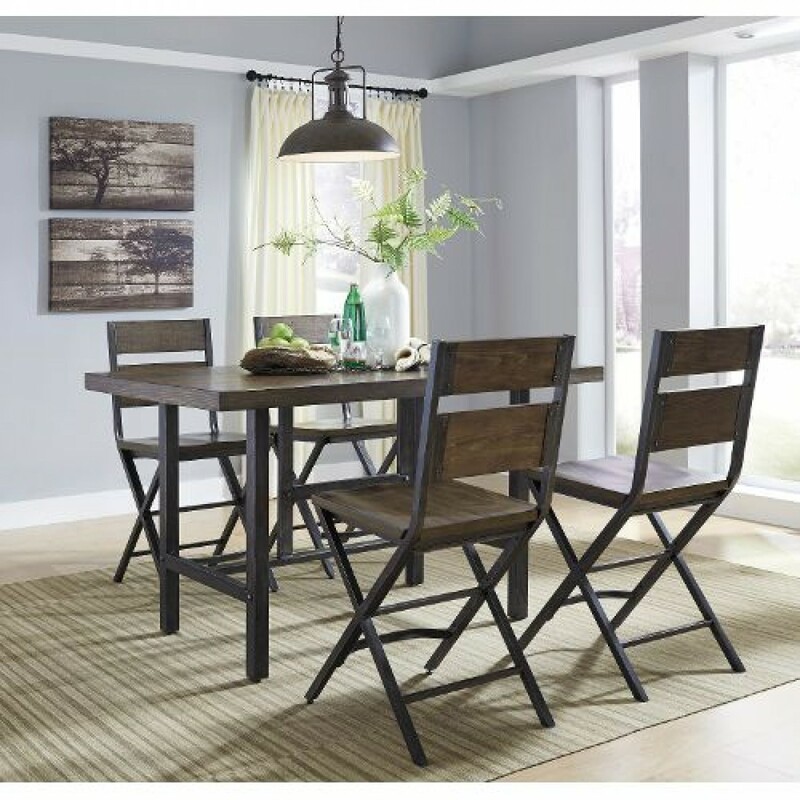 Well constructed with metal frames and metal frames this 5 piece of counter height dining table set in very sleek and simple design, with its appearance, it gives an excellent industrial vibe to your room. Well constructed with veneered wood and metal frame it ensures better quality product. With this set you give your own taste of style to your dining room.